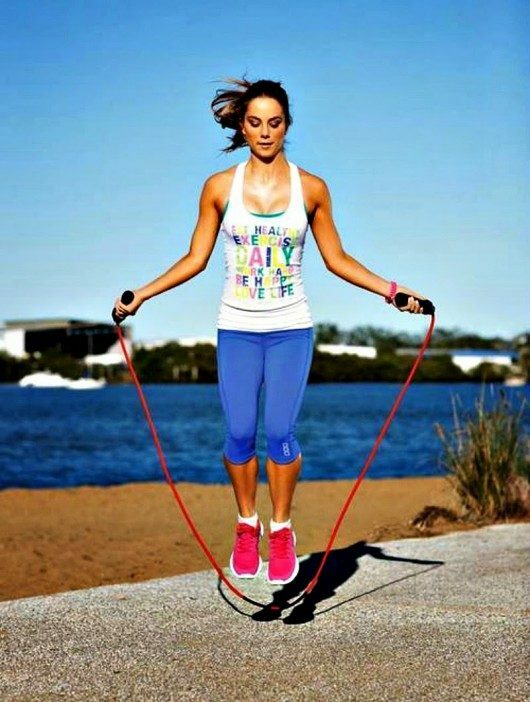 Jumping is not just fun, it’s a super fat burning activity, so grab your jumping rope and make your body sweat. Stretch your muscles to prepare them for a Ten Minute HIIT workout. Do one circle of four exercises without a break. Each exercise should take at least 30 seconds. Do six rounds of three exercises, 30 seconds each. You need: Jumping rope, stop watch.